A unique collection of 859 phosphorylation kinase inhibitors/regulators for high throughput screening (HTS) and high content screening (HCS). • Nat Commun . 2018 Apr 3;9(1):1303. • Nature . 2018 Aug;560(7719):499-503. • Nature . 2018 Jun;558(7711):540-546. • Nature . 2016 Dec 1;540(7631):119-123. 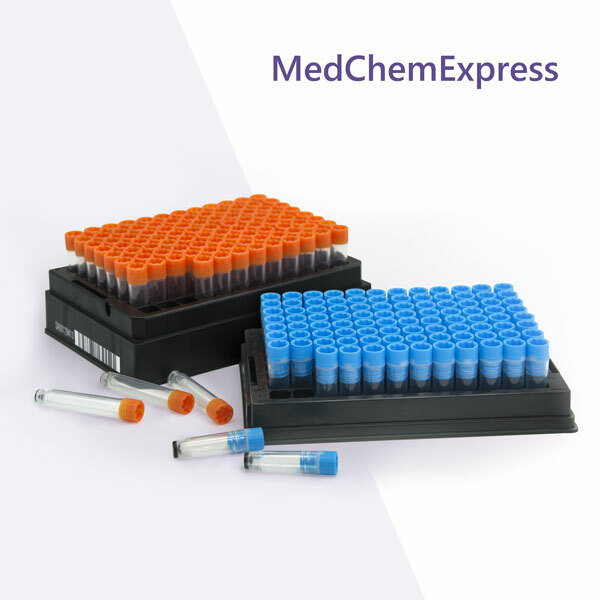 • A unique collection of 859 phosphorylation kinase inhibitors/regulators for high throughput screening (HTS) and high content screening (HCS). • The library contains compounds targeting protein kinases (VEGFR, EGFR, BTK, CDK, Akt, etc. ), lipid kinases (PI3K, PI4K, SK, etc.) and carbohydrate kinases (Hexokinase). • Kinase inhibitors have played an increasingly prominent role in the treatment of cancer and other diseases.